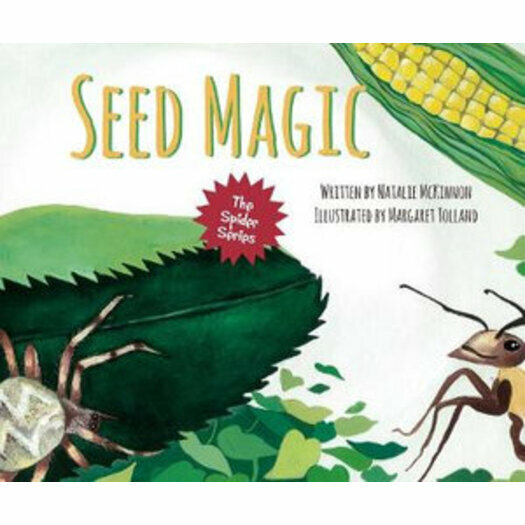 Seed Magic is a friendship story for learning about plant life cycles, seasons, and hibernation. As he gathers food for the winter, Anxious Ant disturbs the garden peace. But Little Spider has a better idea- Seed Magic! She shows Anxious Ant how to grow a giant spring feast, so he won't need to work so hard next year. Seen through the eyes of the creatures preparing for winter, this kind-hearted tale of coping with the seasons, with its engaging language, will take you on a fascinating journey into the miniature natural world.